Have you ever been 300ft down in the ocean and had a hankering to read an ebook? Me neither, but some people want to keep their options open. 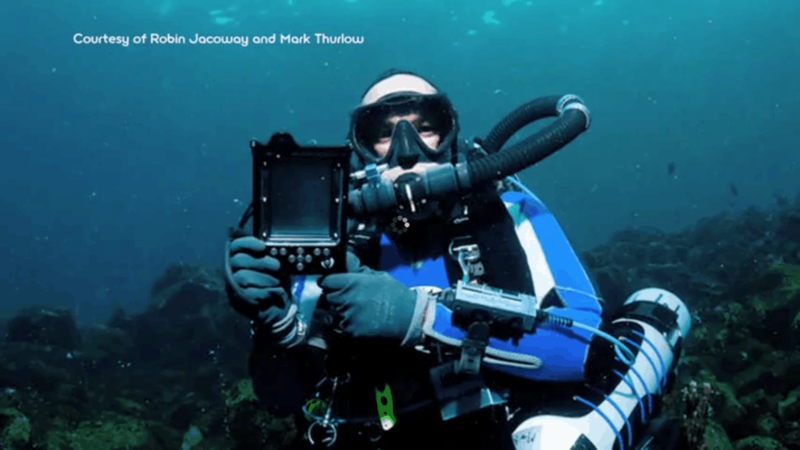 A pair of divers, Mark Thurlow and Robin Jacoway, dive all over the world and they wanted to take a Sony Reader with them. They asked Gates, a specialist in underwater equipment cases, to make a special case for the Sony Reader PRS-300. It's a custom design and it's not commercially available. Yes, I know. It's last years model and a lot older than your ereader. But can your ebook reader work at 300 ft down? I didn't think so. The video even shows an image where you can read the text through the screen. Unfortunately, they're not using 20,000 Leagues under the Sea in the picture. Now that would have been funny.